Nova Scotia is a province that is almost entirely surrounded by water, with a cultural and historical connection to fishing. As a Nova Scotian, I marveled at the distance fishermen traveled in their sturdy and graceful vessels. While we were visiting Cinque Terre a storm blew in. 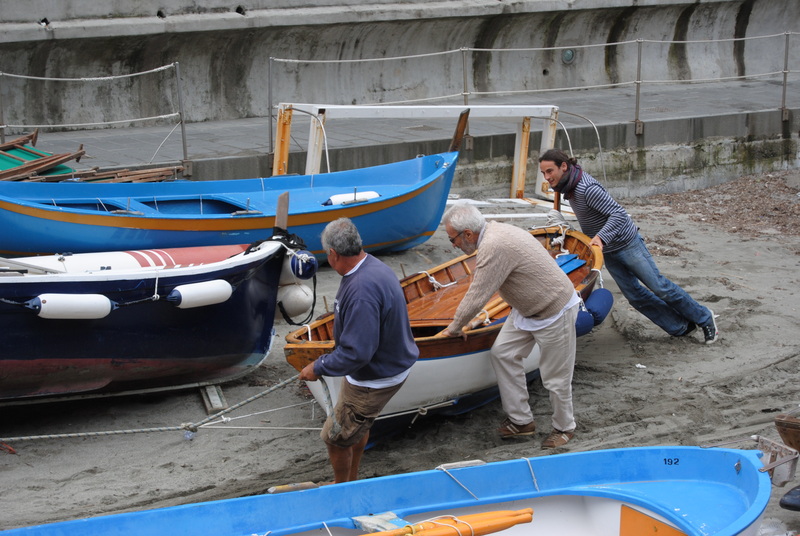 I stood with the rest of the tourists and watched as the men of the community worked together to pull all the boats out of the harbour. 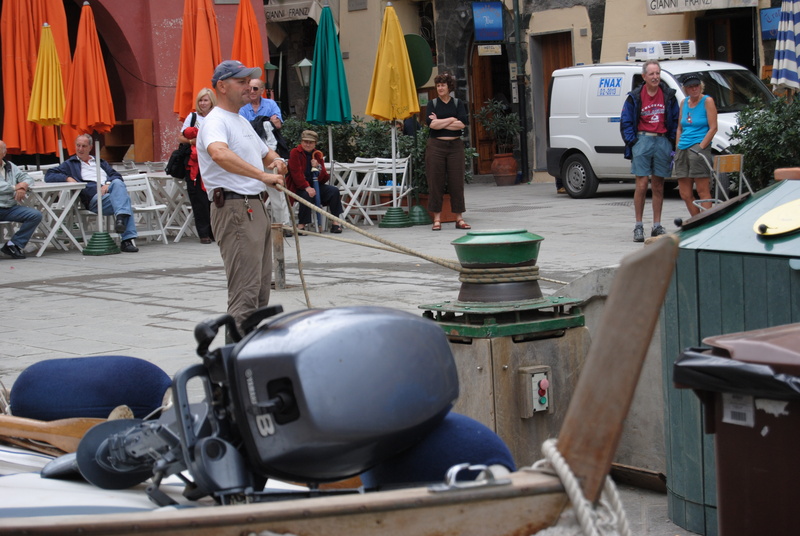 It was fascinating to see how the winch system worked to pull the boats up on the square. 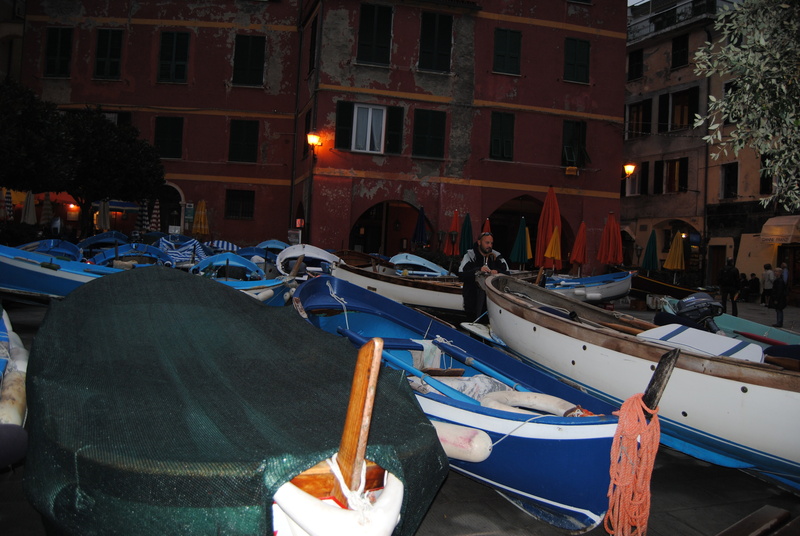 By the evening the square was full of the beautiful fishing vessels of the area. 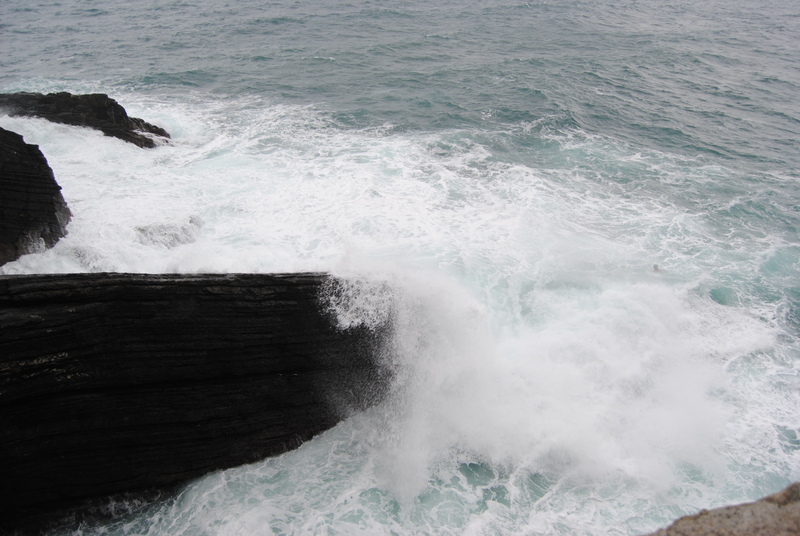 As the day went on the waves became more violent. 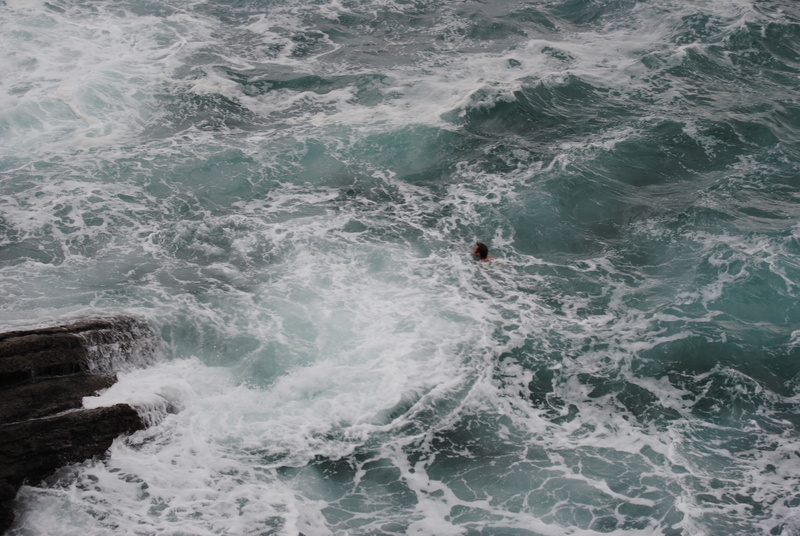 We were amazed to see one young fellow body surfing in them, scary. Yup, he is still in the waves. He gave up after awhile and swam to shore where his friends were waiting. By evening the rain came and it poured. After we ate we walked through a maze of alleys and up the stairs and made our way back to our room. We were nicely tucked in bed for the night when I heard the singing. A large group of tourists didn’t allow the rain to dampen their fun and were in the square way below us singing Waltzing Matilda and other familiar songs. It was surreal to hear the violence of the rain and wind with all those voices raising over it all the way up to our room. 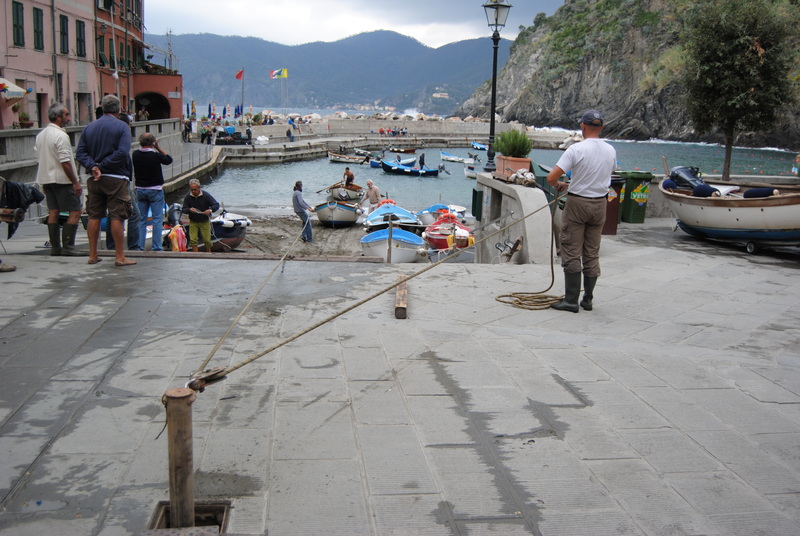 A year after our visit Cinque Terre was hit by a devastating storm. The communities are still recovering from the damage. 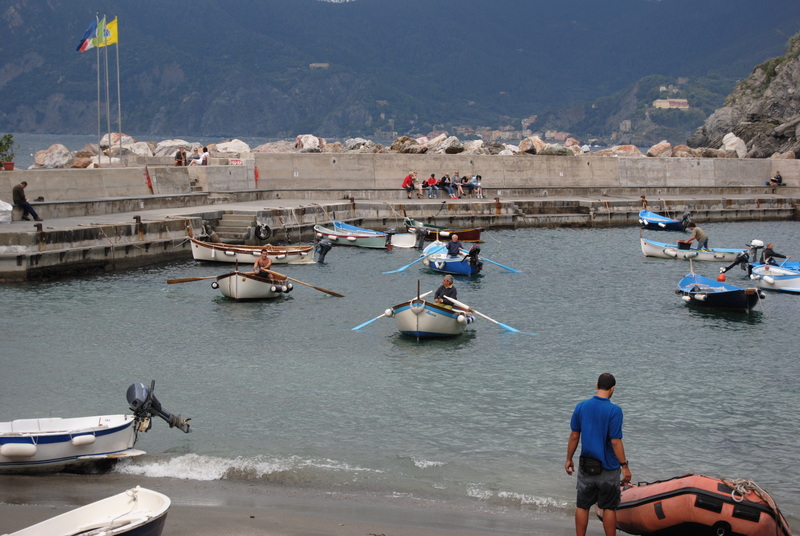 For more information please visit www.savevernazza.com. This entry was posted in Europe and tagged Cinque Terre, fishing vessels, Italy, Nova Scotia, storms, Vernazza, World Heritage Site by paulamacmillan. Bookmark the permalink.